While we offer a variety of marketing services, direct mail is one of our favorite marketing tactics. Mailing lists continue to be one of the best ways to reach a highly targeted audience as well as a broad reach of people. March Direct Marketing takes pride in our ability to create lists with any variety of demographics. The key to direct mail is reaching the right people. However, once you are able to reach the right people, what will you do with them? Now that you have grabbed their attention, how should they react? What is the goal of your campaign? Determine what you want people to do and give them an incentive to do it. Should they come to your location? Contact you? Visit your website? Attend your event? Whether you supply an offer they can’t turn down or another motivation, you must move them to act. Always allow multiple ways for people to connect with your organization. When people can be hands on with a brand, they are more likely to accept it into their busy lives. Allow them to connect with your brand over social media and make sure there is something going on when they get there. Consider a variety of social media platforms to communicate on and then keep them active. Consider having a theme to your campaign and how you can apply other marketing efforts. This will depend heavily on your marketing budget but there are a variety of ways to market to tie in with direct mail. When people notice a similar campaign on TV, the radio, print, web or etc. they will be reminded of the item they received in the mail and vice versa. 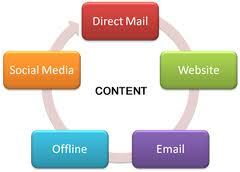 It is ideal to be able to reach your target market in at least three ways to maximize your response. If you want to hear more about how you can make the most out of your direct mail campaign or other marketing efforts, contact us. This entry was posted in Uncategorized and tagged Advertising and Marketing, Advertising mail, Business, direct marketing, mailing list, Marketing, social media. Bookmark the permalink.